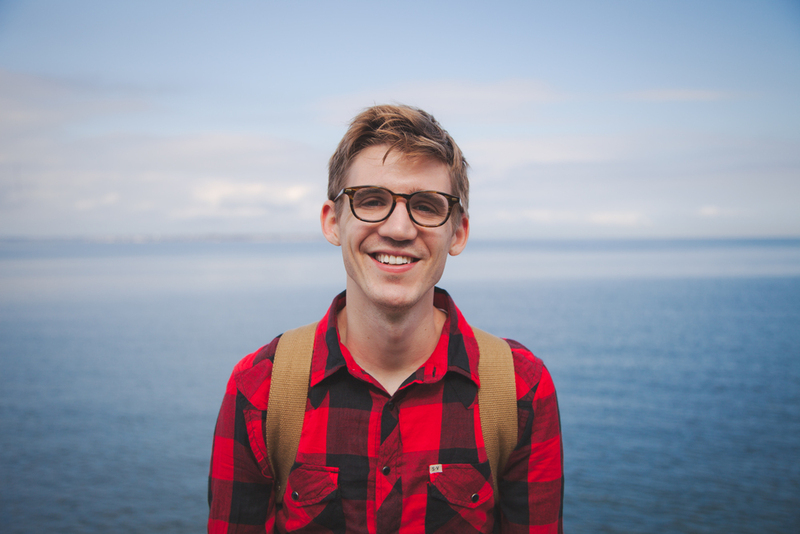 We travelled to the PNW for the first time this summer. 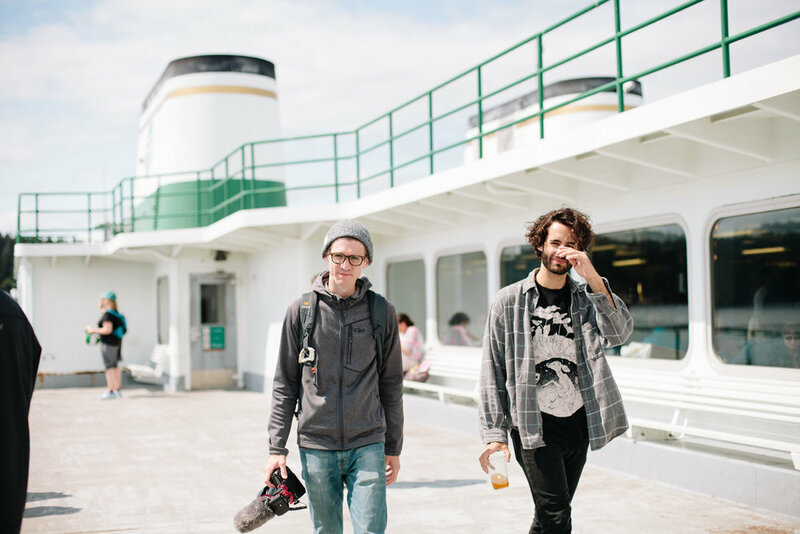 Friends were getting married on Orcas Island and we decided to tack our summer vacation on before the wedding. 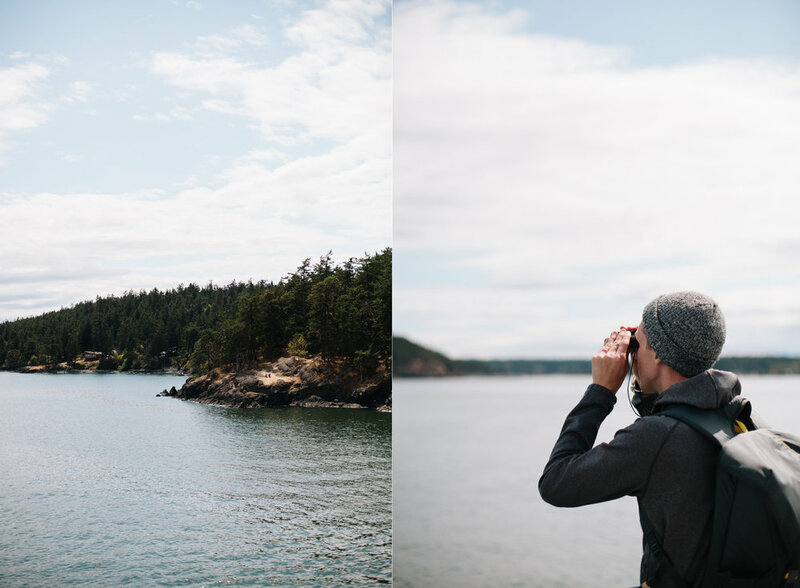 We flew in to Portland, drove up to Olympic National Park, continued on to Seattle for a few days, and then made our way to Orcas Island. I'll be sharing some photos from our time in Portland and Seattle, but Orcas was definitely the most visually appealing. Blues and whites and so much light everywhere. It's crazy to me to think that there are places on this earth that I may never travel to that are such little gems. 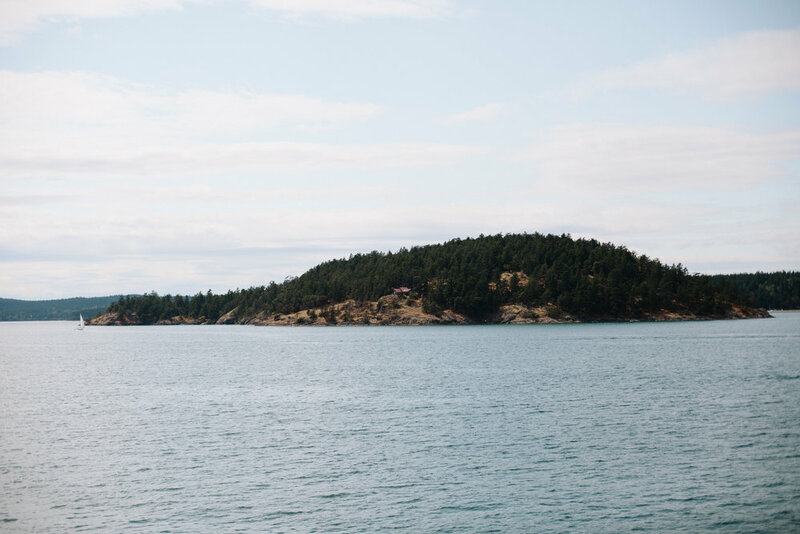 We most likely would have never had a reason to go to Orcas Island if not for this wedding. It was a bit of a hike to get to in that it was a 3 hour drive from Seattle and then a 45 minute ferry ride to the island. From there, we took the one road around the island for about 30 minutes before arriving at the hotel. A few weekends ago we found ourselves with nothing to do on a Sunday. It was sunny & warm but we had slept too late to make it to the beach before the crowds. As we discussed what we should do for the day we realized neither of us has been to the Skywalk Observatory at the Prudential even though we have both lived in Boston for almost seven years now. We decided to go and play 'tourist' for the day! We grabbed breakfast in the South End and then headed to the top of the Pru. Honestly, it was a little expensive but totally worth it. It's so cool to see your city laid out like a little play toy city beneath you. Although, it did make us sad to realize how many people have roof top decks/pools. Winter in New England: it's the same thing every year and by February I feel it is all that anyone can talk about. February, for me, is the depths of winter and always when it hits me that it's been cold and dreary for a good two months and it's really not going to get any better until two months from now. Last weekend was a relief from the harsh weather and it was actually in the 40's, which for us New Englanders in the middle of winter practically feels like a summer day. We took advantage of the sunshine and headed north of Boston to Plum Island. Still covered in snow, it was a beautiful place to be on that Saturday. 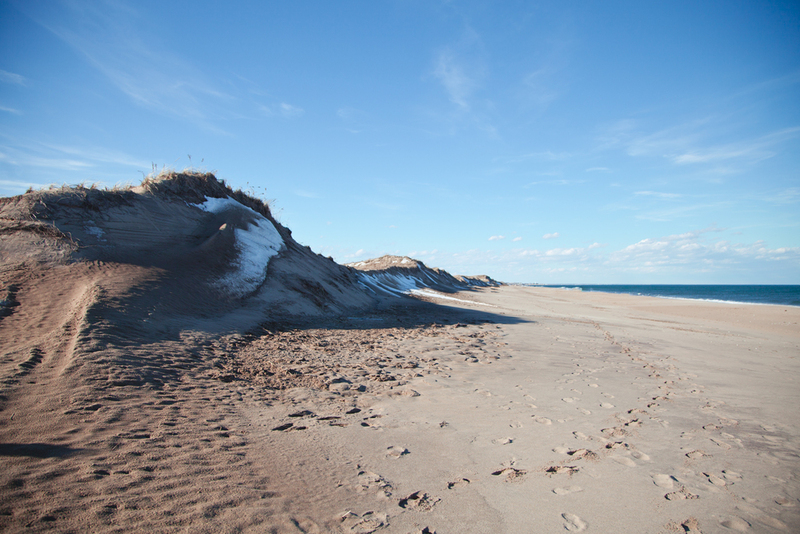 Plum Island stretches about six miles once you get in to the refuge. We drove a few miles down and when we got out of the car there were just a few other people heading to the beach. I'm used to the beaches in New England being packed; full of people, colorful umbrellas and navigating hot sand to find a small patch to set up camp. This was the exact opposite: there was no one for miles for the most part. Actually being on the beach in the dead of winter was strange, it felt like we were in the middle of a desert. Vitamin D did us good and helped make it a little easier to brave the next weeks of cold weather. I'm already pining for another warm day as I sit here wrapped in a blanket with two pairs of socks on and the space heater close by. Two weekends ago we hopped in the car and headed north for the day. Taking day trips, exploring different towns and in general soaking up all of the New England charm that comes with living here in the fall is probably my favorite thing. I had been wanting to go to Deer Island for a while, because of the awesome view you get of the Boston skyline from it. It's a strange place. At once an island, it is now connected to the mainland due to beach erosion from a hurricane back in the late 1930's. There is a walking path that takes you along the perimeter of the island. 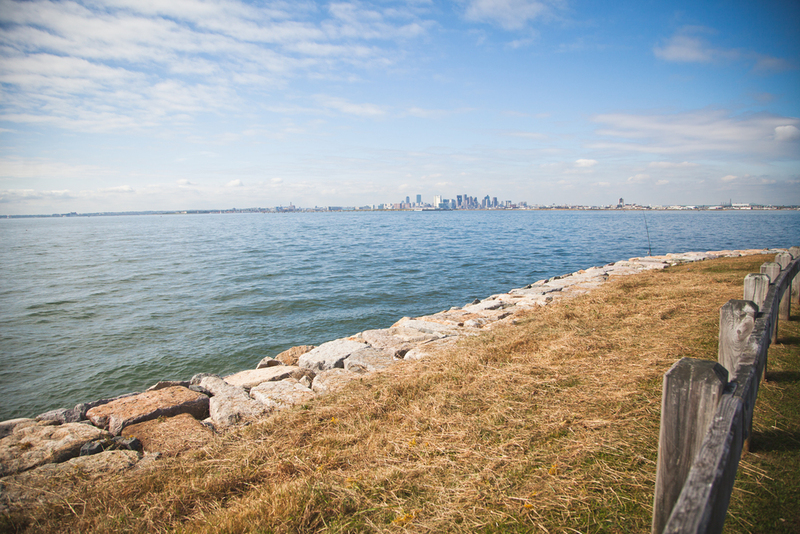 On one side you get a sweeping view of the Boston Harbor Islands and the Boston skyline. On the other side you can see up the north shore coast and out in to the Atlantic. In the middle is dense plant life. And at the tip of the island: a water treatment plant. It's a weird juxtaposition of the natural and industrial, but nevertheless it was a neat place to walk around for a few hours. The whole time we were there, there were planes taking off and landing every few minutes. Flying in to Logan is actually one of the prettiest landings I've ever witnessed when coming in to an urban airport. We've typically come in over the north shore and there are colorful houses, lighthouses and you can see the clear curve of the coastline. Finally being able to stand on the ground that we always stare at out the small airplane windows was pretty cool. And thanks to Dean, for never saying no to getting in the car and driving and putting up with being in front of the camera. I have been to Sarasota a few times now. My first experience of going dates back to childhood when we would vacation there during school breaks to spend time with my stepdad's parents. I have fond memories of swimming in the pool at their retirement community, collecting shark teeth at the beach and going to dinner early. Jump forward a few years and now I have been there as an adult to visit Dean's parents. Sarasota has a whole lot more to offer through the eyes of an adult. The city is rife with cultural opportunities, lovely museums and gardens. My favorite place that we've been to is the Marie Selby Botanical Gardens. It is a huge botanical garden near downtown that is filled with all different sorts of plants, herbs, vegetables, fruits, and butterfly gardens. You can spend hours wandering through and see new things each time. Halfway through the property there is an overlook that looks across the bay to downtown and, if you're there on a nice day, you will see painters and artists set up below big weeping willow trees working on their craft. Our most recent visit was in June when we were in Florida dog sitting. We took a weekday afternoon and wandered having almost the entire place to ourselves.